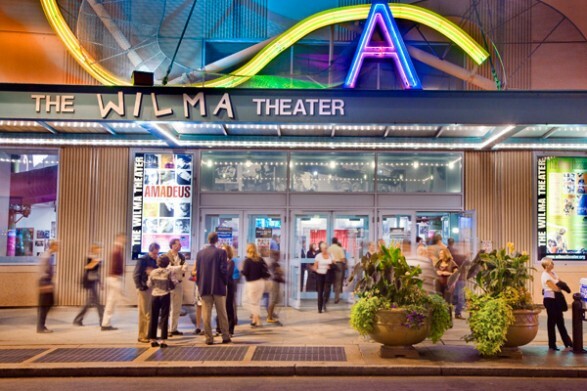 Established in 1973 as The Wilma Project, the Wilma challenged the Philadelphia cultural community to create theatrical productions of original material and to develop local artists. From 1973 through 1979, the Wilma dazzled the Philadelphia public by presenting work with renowned avante garde theater artists, including the Bread & Puppet Theatre, Mabou Mines, Charles Ludlam's Ridiculous Theatrical Company, The Wooster Group, Ping Chong & the Fiji Company and Spalding Gray. In 1979, Blanka and Jiri Zizka, natives of Czechoslovakia, forged a creative relationship with the Wilma as artists-in-residence, and gained acclaim for their bold, innovative productions. With a dynamic, physical production style and original music accompaniment, the Zizka's original adaptation of George Orwell's ANIMAL FARM focused a new spotlight of attention on the Wilma. The Zizkas assumed artistic leadership of the organization in 1981, and moved the Wilma to a 100-seat theater on Sansom Street. Within five years, the Wilma's audience had grown dramatically and the Theater was operating at nearly 100% capacity. A decision was made to expand the theater to a new 296-seat home; and in 1989, a location was identified at the corner of Broad and Spruce Streets.